What better way to immortalise your pet than with a one-of-a-kind, personalised ornament to put on the Christmas tree every year! This project can work for both dogs and (if you’re feline brave) cats, and is a great way to keep kids occupied in the run up to Christmas! 1. In a bowl, mix together the flour, salt and water, until it comes together to make a dough. Add more flour if it’s too sticky – you don’t want your pet to end up with dirty paws! 2. Using a rolling pin, roll out the dough to about 1cm thick. 3. Bring your cat over and (using whatever method of bribery necessary!) 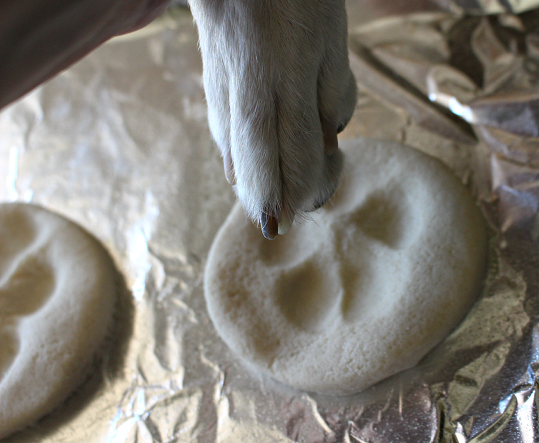 press their paw into the dough, just enough to make an imprint. 4. 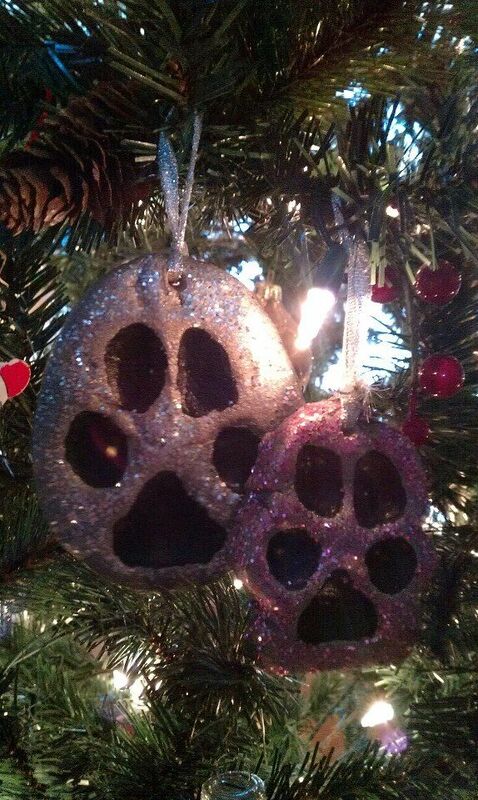 Use a cookie cutter to cut out a shape around the paw print, and use a drinking straw to put a hole in the top of the ornament if you plan on hanging it from the tree. 5. Put the ornaments in the oven (at about 100°C) for around 3 hours. 6. 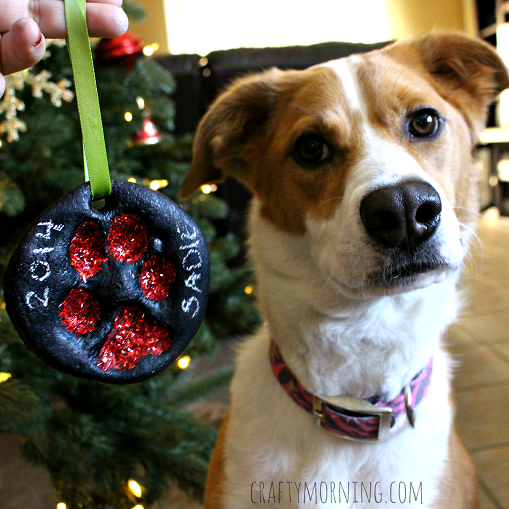 Once the ornaments are cooled, it’s time to get creative! Use paint, glitter, or whatever you can find around the house to jazz them up, and finish with a nice ribbon to hang it up with. Here are some photos from around the internet to help get you inspired! Please do not make your pet do this if they seem uncomfortable with it, but if they need a little persuasion, bribery with treats is encouraged! Featured image via Crafty Morning. Daisy is a 10-year-old, slightly rotund tabby from London, who enjoys sleeping, eating, and generally any activity that involves moving as little as possible. Her human/favourite lap to sit on, Philippa, is PawPost's content marketing manager.